Casio America, Inc., announces it will showcase its latest projection technology at the 2018 International Society for Technology in Education (ISTE) event. 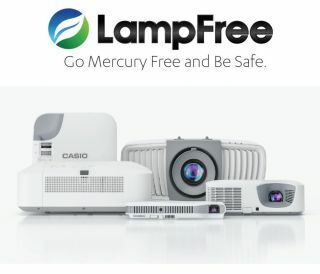 Casio’s eco-friendly portfolio of LampFree projectors will be on display in the company’s booth (#2468) from June 25-27 at the McCormick Place West Building in Chicago, IL. Casio’s full line of LampFree projectors provides eco-friendly data projection by combining a laser and LED light source to create a high-brightness, mercury-free tool that uses up to half the amount of power per unit than other lamp-based projectors. Additionally, Casio’s LampFree projectors’ extended operating life of up to 20,000 hours eliminates the process of replacing costly lamps. The projectors reach maximum brightness in as fast as eight seconds from the time the power is switched on. They can immediately power off and then be used again right away, without the need for a cool-down period. For more information on Casio LampFree projectors visit www.casiolampfree.com.